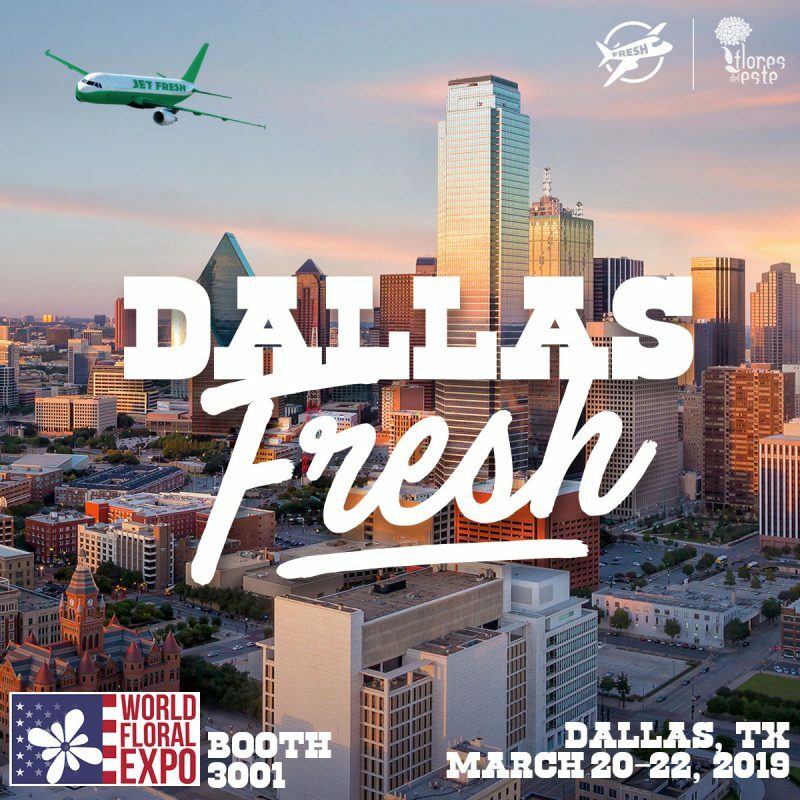 Jet Fresh Flower Distributors is returning to exhibit at the World Floral Expo 2019 show in Dallas, Texas, March 20-22, 2019. Come visit our booth # 3001 at the Dallas Market Hall – North Hall featuring a special showcase of Flores del Este hydrangea. 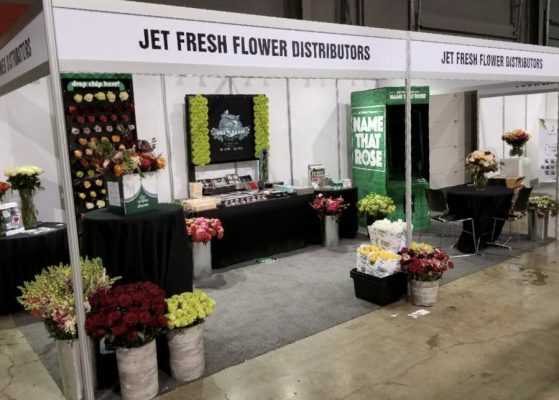 Jet Fresh Flower Distributors has exhibited at the World Floral Expo for several years as importers, distributors and now growers of fresh-cut flowers and preserved flowers. We supply wholesale flowers to members of the floral trade located around the world including wholesalers, event planners, floral designers and more. 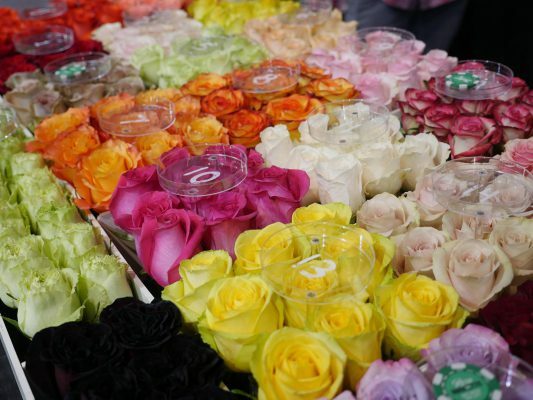 This year’s theme will be debuted at World Floral Expo. None of the elements have been featured in previous shows, and we can’t wait for the reveal in Dallas. 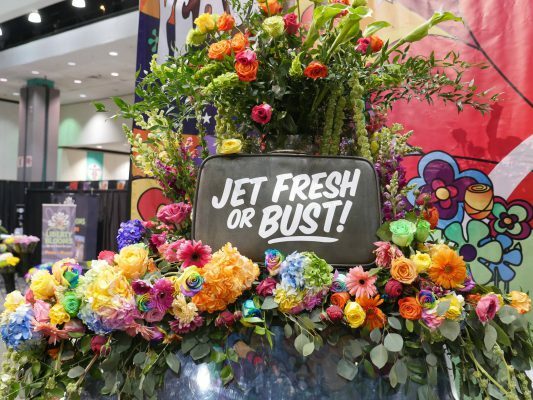 Jet Fresh is proudly displaying Flores del Este hydrangeas at World Floral Expo 2019. They will be included in our booth design and featured all throughout the show. Check out some of the hydrangea varieties from Flores del Este that will be featured at our booth. 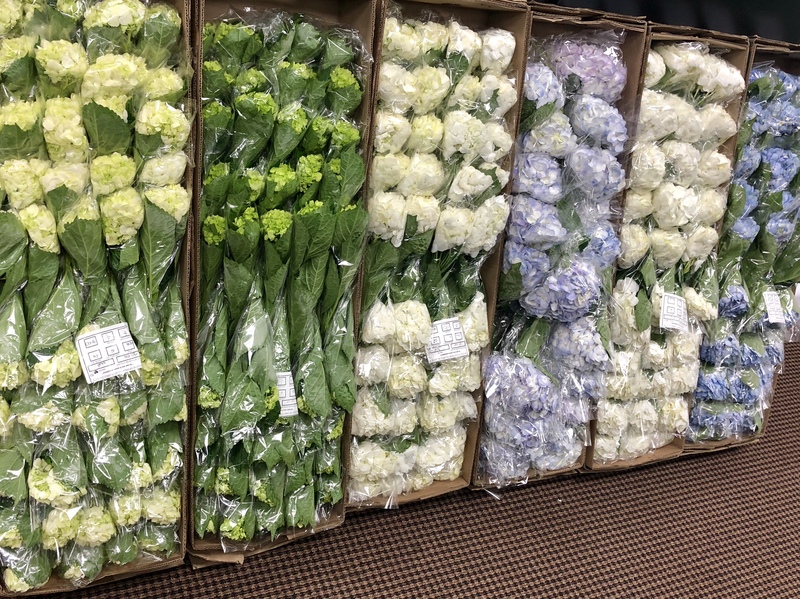 These high-quality, Colombian-grown hydrangea come in a great variety of colors and sizes for all your wholesale flower needs. 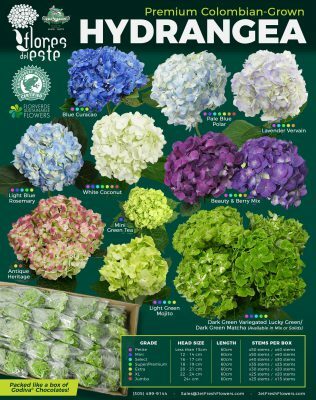 Save this variety chart for reference and come see Flores del Este hydrangea in our booth at World Floral Expo. 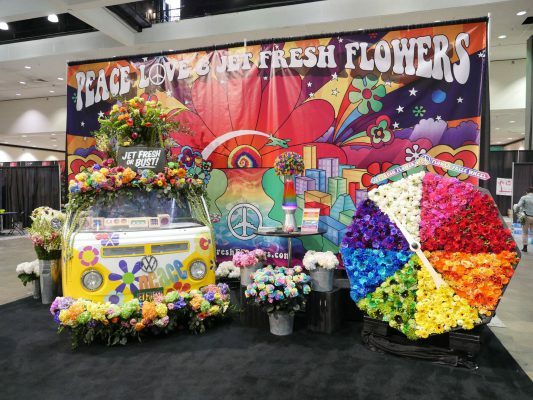 Let’s take a look back at our World Floral Expo booth designs from the last few years. Our 2018 World Floral Booth was full of entertainment and games to engage visitors. 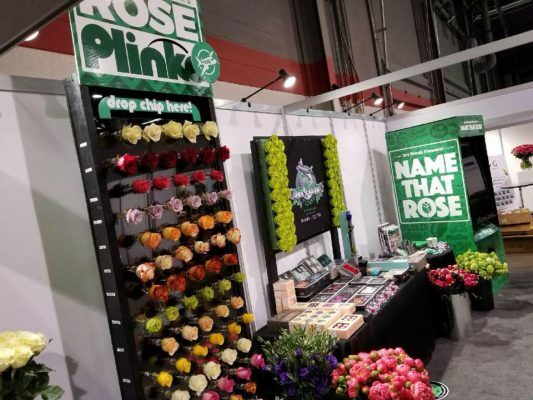 We were inspired by the Price is Right and created our own “Rose Plinko” chip game featuring roses from our farm, Jet Fresh Flower Growers, S.A.
Our custom “Name That Rose” game machine also made its way to Chicago to put our rose experts to the test. Play “Name That Rose” on your mobile device. Learn more. 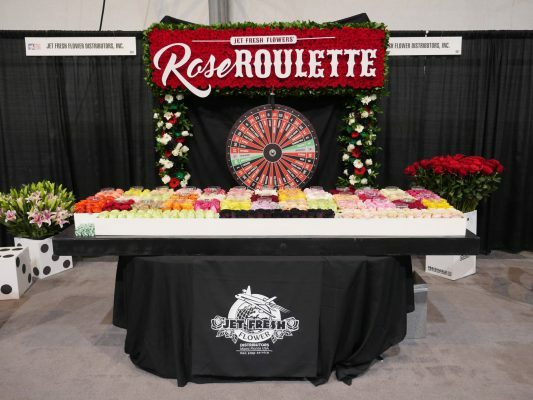 Our casino rose roulette table was a hit at the 2017 World Floral Expo in Las Vegas. This interactive experience featured fresh-cut flowers as well as preserved roses for our travel-friendly “Rose Roulette” sign. You can see our preserved roses backdrop still hanging in our office in Miami. Peace, love and Jet Fresh Flowers has been a long-running mantra here in Miami. Our leader Mike has been a longtime fan of the artistic stylings of Peter Max and encouraged our marketing director, Ryan Black to create his own Jet Fresh-inspired design. The ’70s theme was a perfect fit to include our hippy hydrangeas and psychedelic roses available at Jet Fresh Flower Distributors. 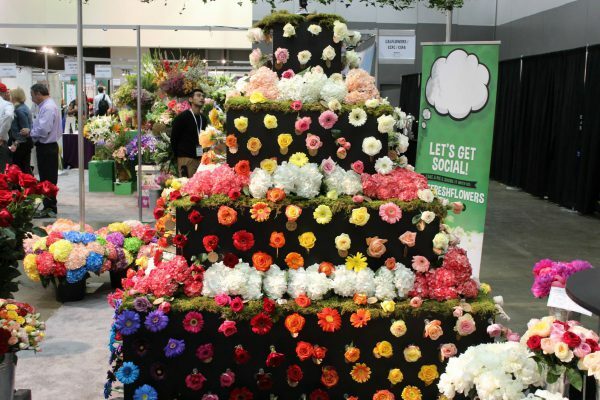 Our famous rose wall came to life during the World Floral Expo with our Rose Wall Tier Cake. This 4-tier cake-like structure holds many flower tubes filled with water to allow flowers to hydrate and perform during the show. Come visit us at booth 3001 in Dallas, Texas. Learn more about the World Floral Expo taking place this year in Dallas, and look out for special hotel rates available on their website. 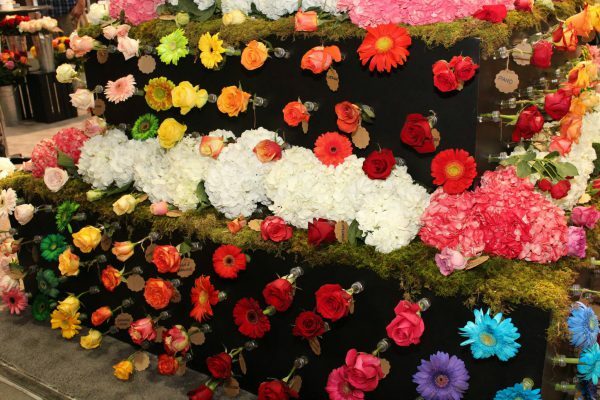 This entry was posted in News and tagged Dallas, Flores del Este, trade show, wfe, world floral expo.